Hello, friends! Can you believe it’s September already? Fall is my favorite time of year, so I am pretty happy about it! Plus, my birthday is in October. 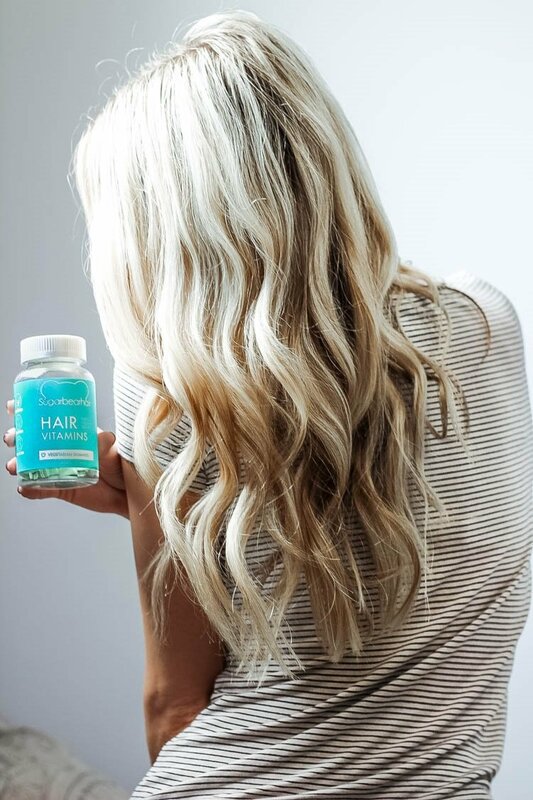 😉 I want to update all of you today on my experience with SugarBearHair vitamins, and why I think they are an easy way to get healthy hair. It has now been a little over a year and a half since I first tried the vitamins, and they have become a crucial part of my hair routine. I take two gummy bear vitamins every day (how many you are supposed to take), and I genuinely look forward to it! They taste so delicious (like candy or if you remember how Scooby gummy bears taste), and I’m always excited about how they will benefit my hair. When I first tried them, I noticed an obvious difference in the health of my hair. It felt stronger, grew longer, and the health of my hair just seemed better overall. I have also mentioned that my skin feels like it has an extra glow while taking the vitamins. They are seriously the best! 🙂 My hair is almost to the really long length I want (I cut my hair shorter once while taking the vitamins and still consistently trim it). My hair is also so easy to style now! It is so soft and healthy, and it makes any hairstyle I try look so much better! I notice the biggest difference when I curl my hair. I always get so many questions about my hair, and the first thing I always mention is SugarBearHair vitamins. They have honestly made such a big difference for the health of my hair. You can try all of the hair products in the world, but if your hair isn’t healthy from within, it’s not going to make much of a difference. Just like if you aren’t taking care of your skin, it’s going to be a lot harder to make makeup look the way you want. 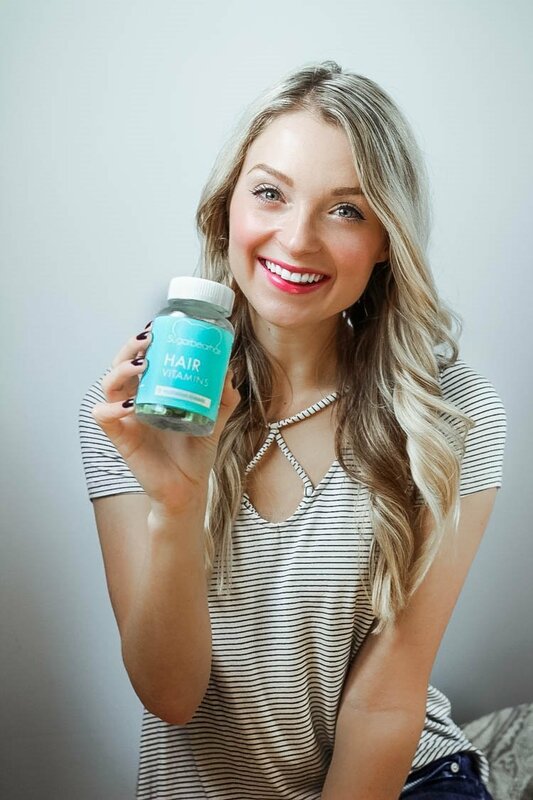 So if you are really wanting to get healthy hair or longer hair, you should try the SugarBearHair vitamins! 🙂 They have different package options you can try out on their website, so just go with what you feel comfortable with doing. 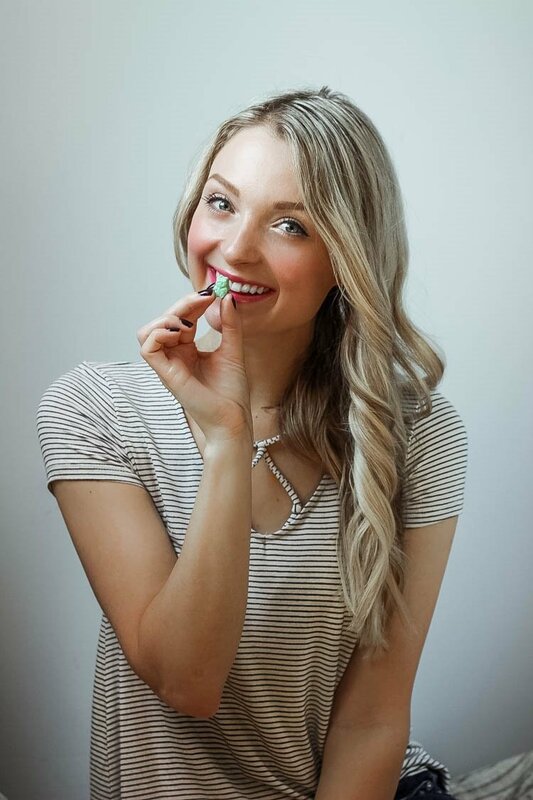 If you have any questions, I would love to answer them in the comments as well! Click here to visit the SugarBearHair website. This entry was posted in Beauty and tagged best hair vitamins, easy way to get healthy hair, get healthy hair, get long hair, good hair vitamins, gummy hair vitamins, hair vitamins, hair vitamins that work, healthy hair tips, how to get healthy hair, how to get long hair, long hair vitamin, SugarBearHair review, sugarbearhair vitamins, women's hair vitamins.